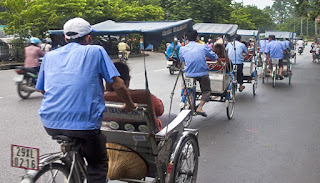 In the past, cyclo was the popular means for transfer inside the big cities in Vietnam like Ha Noi and Sai Gon. In the recent years the means becomes the special means to bring to tourists the special moment to look at the streets in the city such as the slow film footage of the normal life of people. 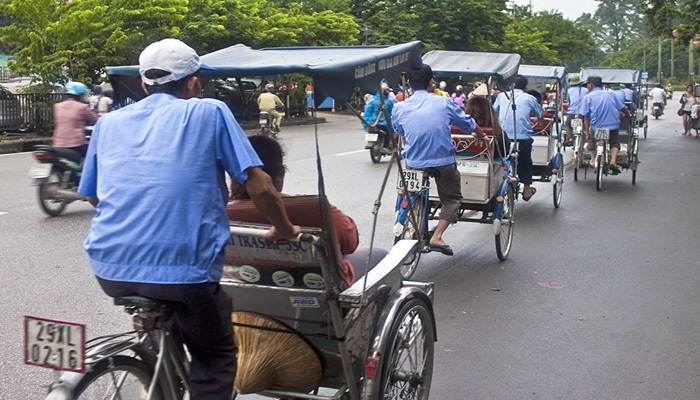 For the tour to explore the cities in Vietnam, almost of time you can find a cyclo tour for half day. There is the special time for the tour is in the afternoon. Through this you can find out the bustle life of the city when the sun goes down with the best corners. In the recent time, the Website Bored panda talked about the most special means in the world. The list has 30 means that are mentioned in which existed cyclo. The rest of the list are mentioned such as Terra Bus from Canada, Coco Taxi from Cuba, Habal-Habal from Philippines, Tuk Tuk from Thailand, Matatu Bus from Kenya and so on. Almost the typical means like that are considered to bring the impressive in transportation to the tourists in their travelling.